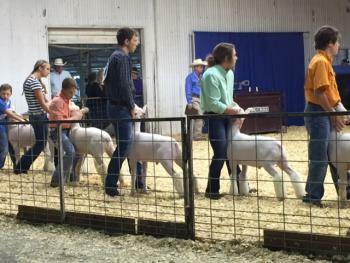 Shiann Cornett, Sabrina Williams, Karissa Bueno, and Johnthan Fleming attended the South Plains Fair and enter the Lamb Show. These students did great and put in a lot of hardwork. Johanthan Fleming had 10th place Lightweight Finewool. Shiann Cornett had 10th place Lightweight Medium Wool. 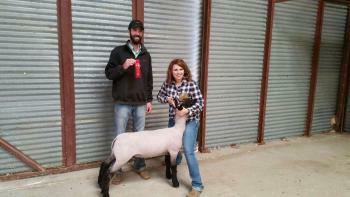 Sabrina Williams had a 15th place Lightweight Medium Wool. Please congratulate these students. Please congraduate the following students that attended the show. Shiann Cornett came home with a 2nd place win. Johnathan Fleming with a 4th place win*. And Sabrina Williams with serveral wins. The following at the highest placing animal for each student that competed at the Gaines County Stock Show. 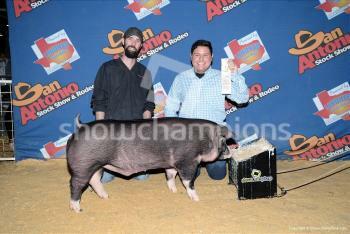 All students did an outstanding job at the San Antonio LiveStock Show. Congrats to Froilan Beltran on recieving 10th place on the light weight Poland class.